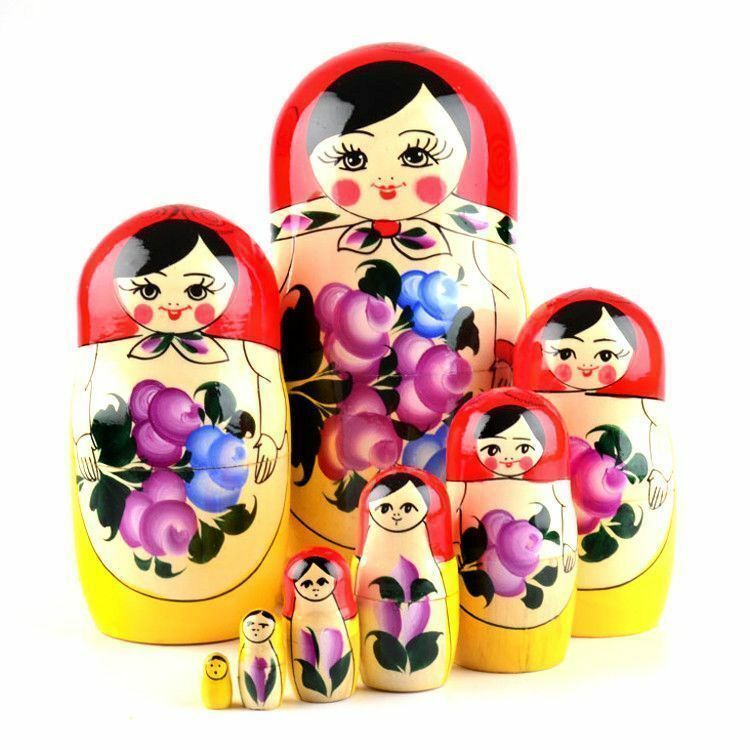 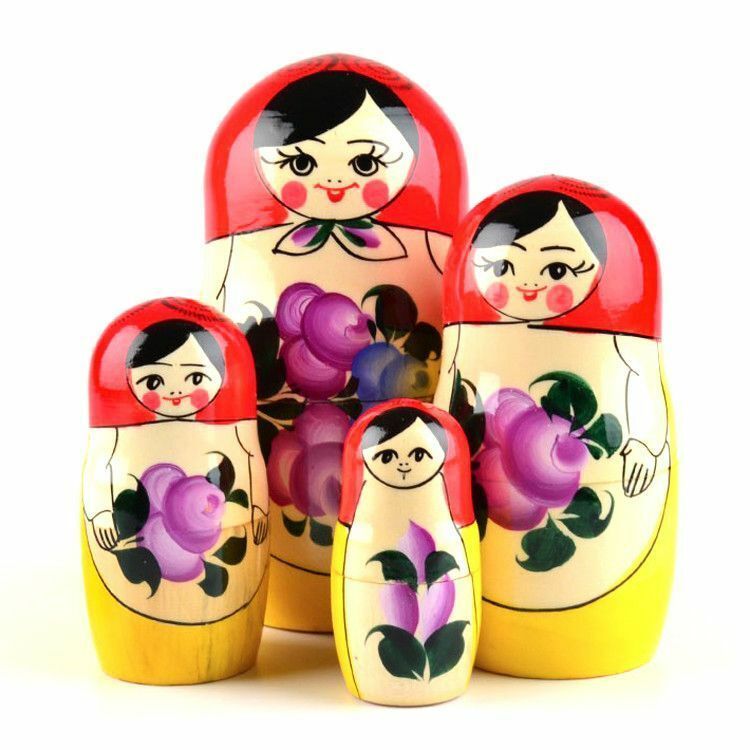 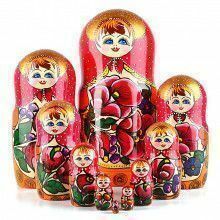 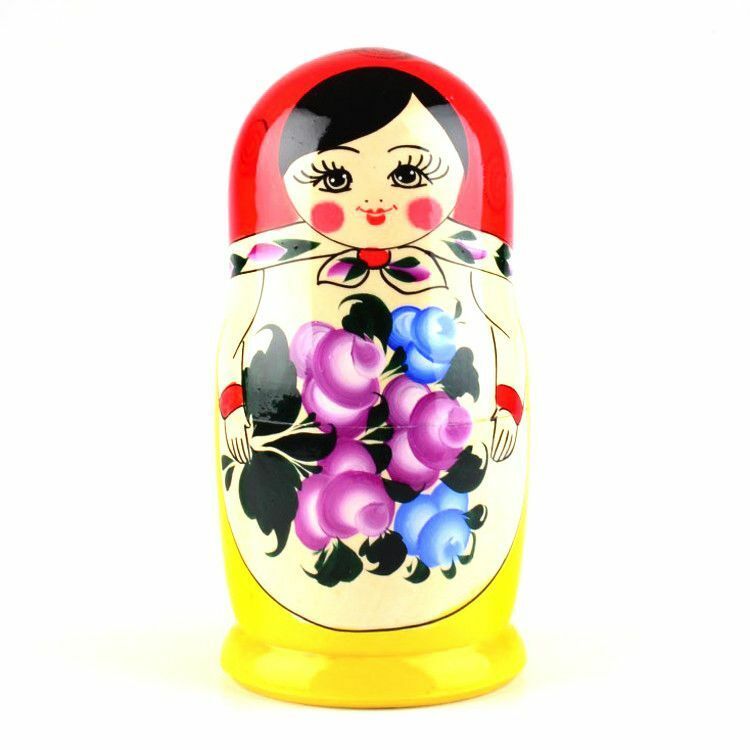 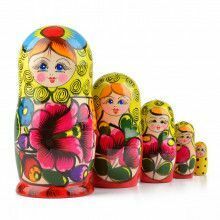 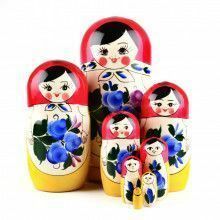 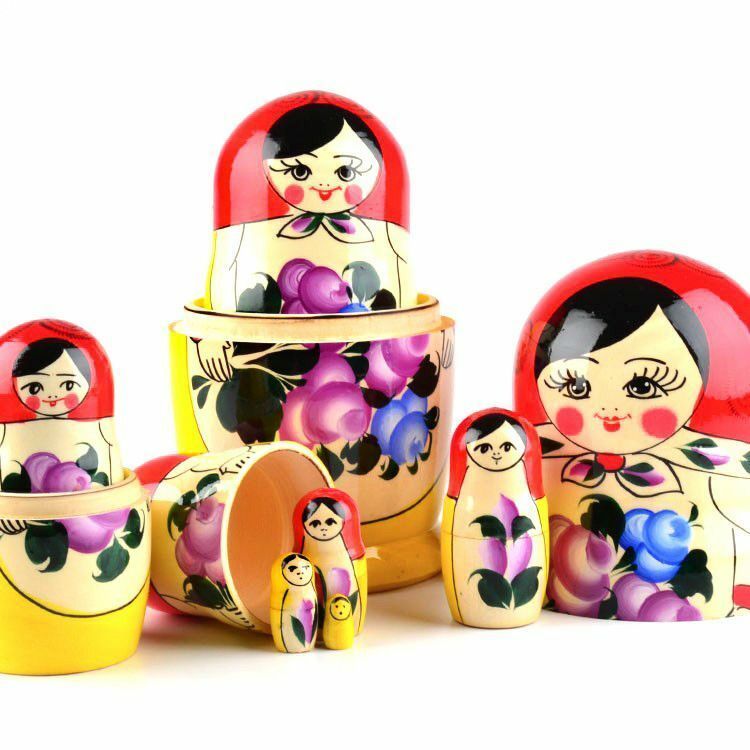 Sharp red and sunny yellow, accented with violet and blue colored flowers, makes this authentic matryoshka a beautiful piece of folk art. 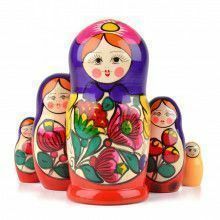 She stands about 8 1/2" tall and has a total of 8 dolls that decrease in size and amount of detail. 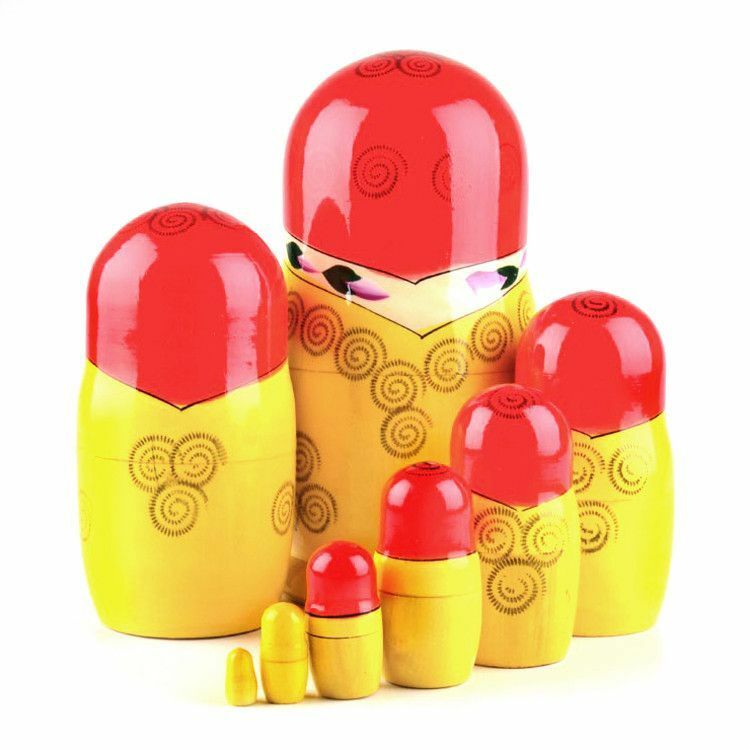 Gloss finished and ready for shipment! 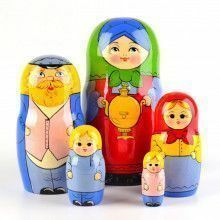 Faces design might vary.